When your ship stops in Ketchikan, get away from the crowded port by exploring Misty Fjords National Mounment on a floatplane tour. 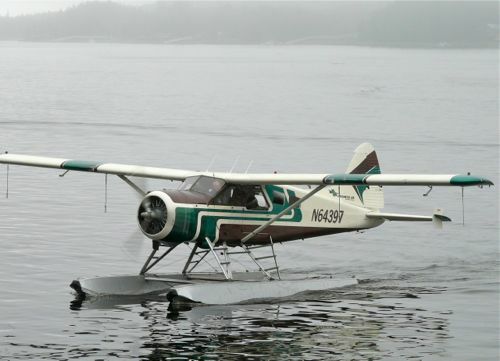 Click on Floatplane Tour of Misty Fjords to read about our experience. 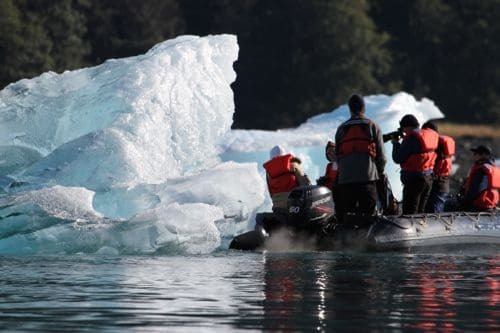 When your ship docks in Skagway, Alaska, be sure that you’re on this adventure that includes a speedcat ride and motorized canoe to Davidson Glacier. Read more about our experience by clicking on Speedcat Adventure to Davidson Glacier. On a cruise to Alaska, Sitka is an easy town for do-it-yourself touring. Use our self-guided walking tour to explore this Alaska fishing village. Read more by clicking on Sitka Walking Tour. 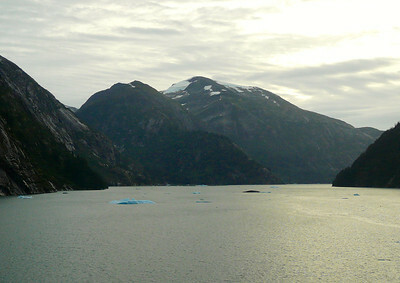 On a cruise into Tracy Arm, you’ll see icebergs, waterfalls and the steep mountain slopes of an Alaskan fjord. To read more about our experience by clicking on Cruising Tracy Arm. 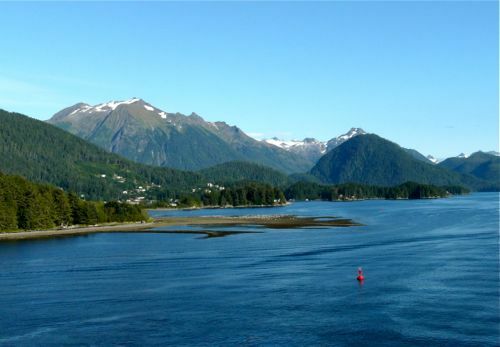 Are you planning a luxury cruise to Alaska? Read our Luxury Cruise Travel Planning tips first! 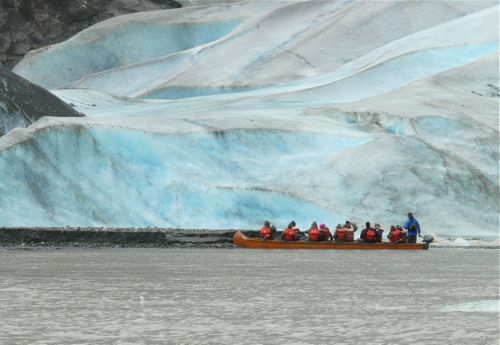 One of the most unusual Alaska cruise excursions. 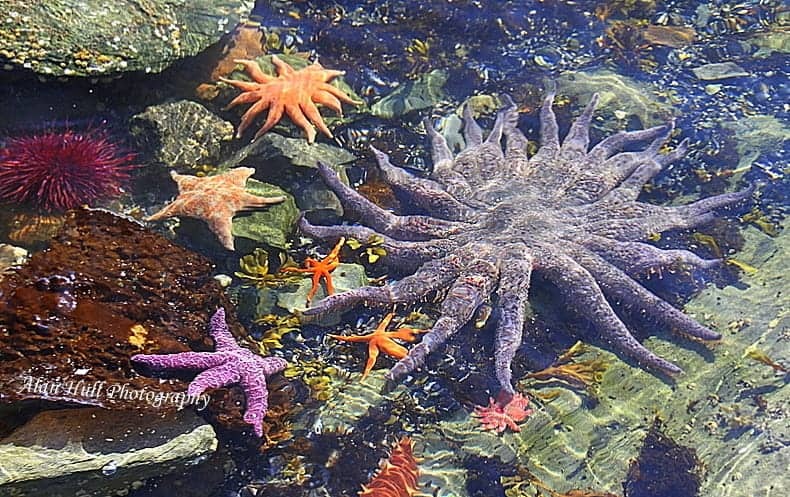 Did you know that you can go snorkeling when your ship calls on Ketchikan, Alaska? Click on Going Under Water in Ketchikan to learn more. 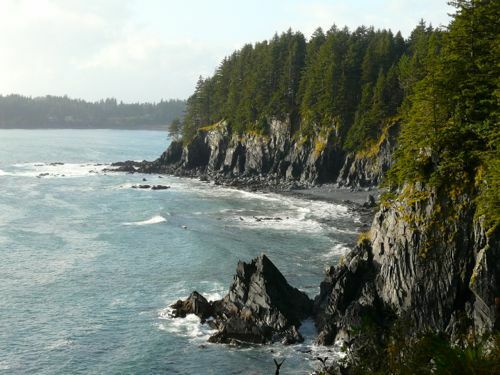 If your cruise ship makes it all the way to Kodiak Island, you’ll discover beautiful views combined with WWII history on the trail at Ft. Abercrombie State Historical Park. Click on Hiking With History on Kodiak Island to read more about our experience. On an adventure cruise in southeastern Alaska, we hiked on Baird Glacier. 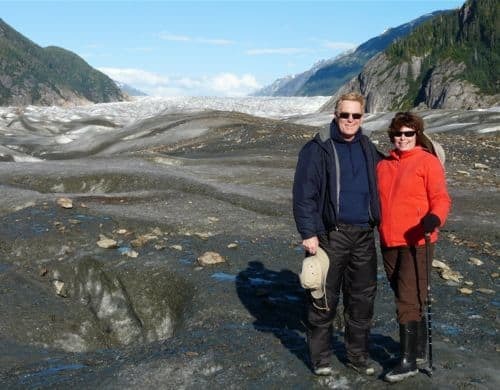 It is one of our most memorable Alaska cruise excursions. To learn more, click on Walking on a Glacier. Riding a skiff through a maze of icebergs in LeConte Bay, Alaska is a small ship cruise excursion that we’ll always remember. Read about our experience by clicking on Floating With Icebergs in LeConte Bay, Alaska. Hiking on a Cruise in Alaska? You’ll discover many hiking opportunities on a small ship adventure cruise in Alaska. 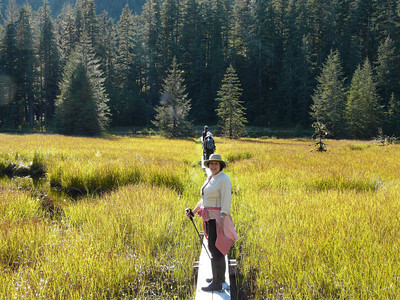 Read about our hiking experiences on American Safari by clicking on Hiking on a Cruise in Alaska? A cruise is one of the easiest, and most scenic, ways to explore Alaska’s many incredible glaciers like the Hubbard Glacier. 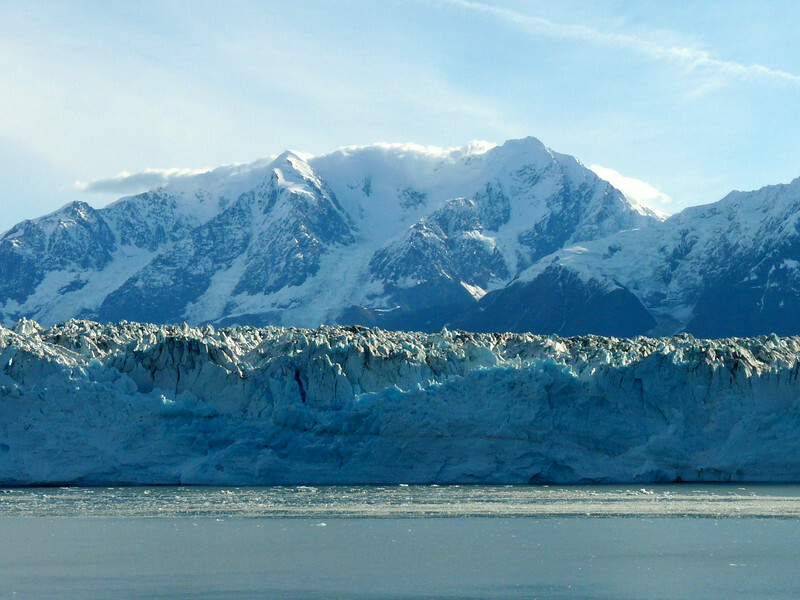 Read more about our experience as we explore on a Hubbard Glacier cruise.